Ideal Loft Ladders - Insulation, Lofts/Loft Ladders based in Dartford, Kent. 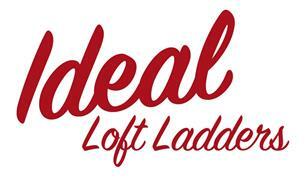 At Ideal Loft Ladders we supply & install high quality loft ladders, loft boarding, loft lighting & roof windows. We have fixed prices for all the we carry out, so you know the costing before you place an order. We never use outside contractors and always leave your home as clean as we found it by using dust sheets to cover your floor. Ideal Loft Ladders prides it self on treating our customers the way we would like to be treated and with that in mind, we never take payment upfront. We only ask for payment once the work has been completed and check by you. All our installers carry chip & pin card readers if you wish to pay by card.